ALL BOOKS AVAILABLE IN CARLETON PLACE AT: WISTERIA in Carleton Place-Wisteria (62 Bridge St. – Carleton Place) and The Artists Loft in Smiths Falls. All are available at ALL Amazons in paperback and Kindle. Linda’s recent book “The Tilted Kilt: Vintage Whispers from Carleton Place” (March 2015) , are for sale at Wisteria · 62 Bridge Street · Carleton Place, Ottawa, Canada, and at the Carleton Place and Beckwith Heritage Museum · 267 Edmund Street · Carleton Place, Ottawa, Canada–North Lanark Regional Museum (Appleton)-Mississippi Textile Mill and Mill Street Books in Almonte and Heritage House Museum and The Artists Loft in Smith Falls. 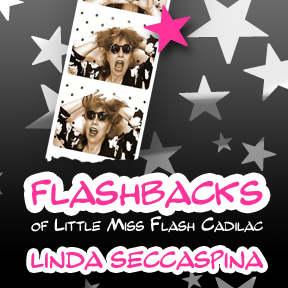 There once was a store on Rideau Street in Ottawa called Flash Cadilac Clothing. After so many years, its history evaporated from my mind, until Webb Dann and Lost Ottawa showed up on Facebook and jogged my memory one too many times. I started to think, and began to remember. That experience was all about the people I loved, the people I annoyed, and the people that prayed for the customers in my store. Yes, that sets the table! Bon appétit! Gossip is the civilized version of grooming each other for fleas. You can stop gossip with a simple, “That’s none of my business,” but why would you? Somewhere in our deep past we remember when cavemen gossiped over a recent kill, memorializing the one who didn’t hold up his end of the hunt. Stories begun by gossip are a significant channel of informal communication with something like 70% accuracy. The stories gathered here in Tilting the Kilt began life within 10 miles of Carleton Place. Linda guesses that makes them close to 50% accurate. Gossip-born stories, sharing a standard currency of human connection, will make you smile, then you can pass them along, adding your own layers to make them even more spectacular. “It’s cancer,” he said, “and it’s not looking good.” I hung up the phone and cried because I knew there was almost nothing I could do to help — but I would see him to whatever final chapter there was, either good or bad. I would do whatever I could. There was a pause, and then he said the word. Cancer. Immediately calling his bluff, I told him he was nuts, and probably just had ulcers. I never imagined a man of his strength being caught by vicious cancer cells — or could they penetrate the strong too? There was no way — cancer was my family’s disease, not his. Over the phone wires, over the weeks that followed, over the thousands of miles of travel to be by his side, he told me what I had heard so many times in my life. Find out … Who is building the Titanic ll and why? Are cell phones dangerous on airplanes? Why does Linda train woodpeckers? Linda tears apart the weird, the wacky, and the outrageous and tells it like it is. Would you expect anything different? When former students of Cowansville High School, plus some of those who went on to école secondaire Massey-Vanier, meet up on Facebook to gossip and reminisce, this is what you get. Linda attempts to find just the right dressing room to try on her life … preferably one with good lighting!